KYENJOJO – 85-year-old Dinah Tindimutina is among the four people who died in a road accident in Kyakatwire Town Council in Kyenjojo district yesterday. The same accident claimed three of her grandchildren, Denis Muhangi and Caroline Kamusiime. The other victim is yet to be identified. 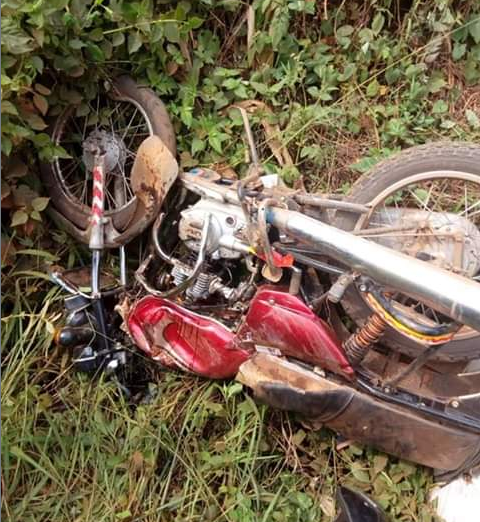 The boda-boda rider Erias Tumuhereza also died in the same accident. According to Rwenzori Region Police spokeswoman, Lilian Tumushabe, the accident scene was visited by OC Traffic. Bodies of victims are Kyenjojo Hospital mortuary for postmortem. The preliminary cause of accident, she said was due to speeding by the truck driver who is still at large.